When Milani brings out new products- you better pay attention. 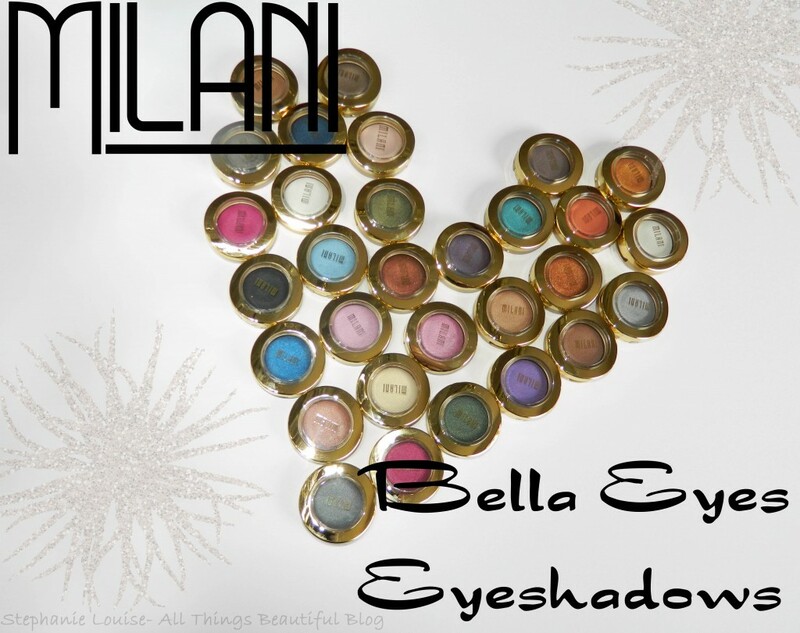 Milani has dropped 30 new shades in their brand new Bella Eyes Gel Powder Eyeshadow line of singles. Each shade can be used wet or dry & is labeled on the bottom by finish for easy differentiating.These swatch & blend beautifully. With a wide variety of different shades you’re bound to find multiple shades to add to your list- check all of them out below! Here’s a closer look at an individual shade so you can see the dip in the center. This is actually pretty handy for foiling the shades in my experience. An important note is to not try to depot these either- they aren’t in individual pans underneath & are instead baked on. 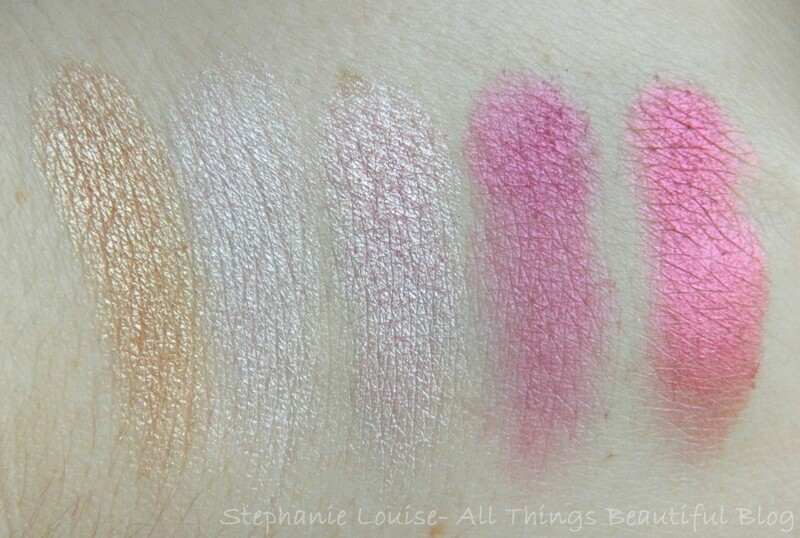 You can also see that each shade comes with a peek window on top which I prefer with singles especially. 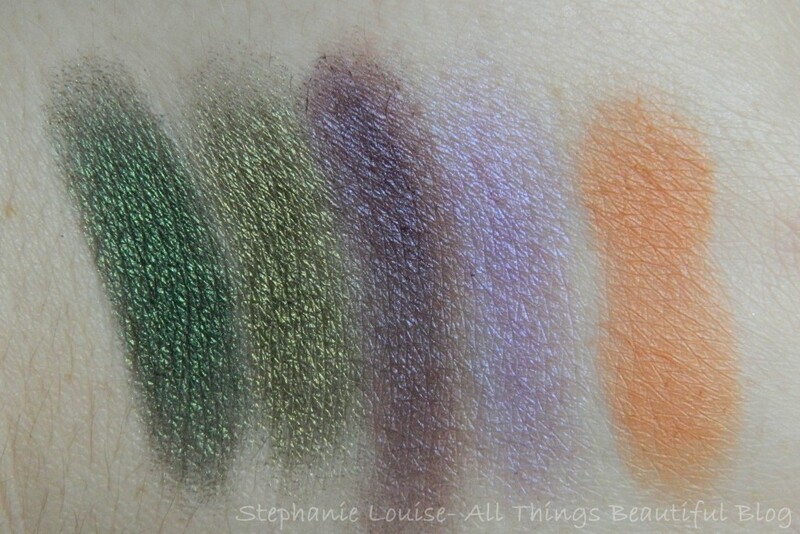 All the swatches below are on bare skin dry. 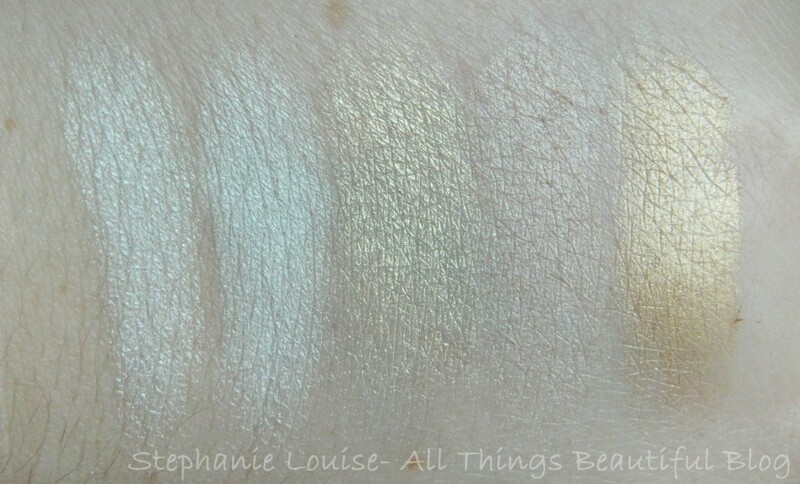 For more intense pigmentation these shades can also be foiled! Left to right: Bella Diamond, Bella White, Bella Chiffon, Bella Ivory, Bella Sand. Bella Diamond- A pale white. Milani labels this shade as a Highlighter/Shimmer. Bella White- A brightened white. Milani labels this shade as a Satin Matte. Bella Chiffon- A pale yellow gold. Milani labels this shade as a Highlighter/Shimmer. Bella Ivory- A lightened ivory. Milani labels this shade as a Satin Matte. Bella Sand- A yellow based sand. Milani labels this shade as a Shimmer. Left to right: Bella Silver, Bella Gray, Bella Taupe, Bella Charcoal, Bella Black. Bella Silver- A light bright silver. Milani labels this shade as a Metallic. Bella Gray- A medium gray. Milani labels this shade as a Satin Matte. Bella Taupe- A deep cool-toned taupe. Milani labels this shade as a Satin Matte. Bella Charcoal- A deep brown-toned gray. Milani labels this shade as a Shimmer. Bella Black- An intense black. Milani labels this shade as a Satin Matte. Left to right: Bella Emerald, Bella Khaki, Bella Purple, Bella Violet, Bella Mandarin. Bella Emerald- A deep green. Milani labels this shade as a Shimmer. Bella Khaki- An olive-toned green. Milani labels this shade as a Shimmer. Bella Purple- A slightly blackened based purple. Milani labels this shade as a Satin Matte. Bella Violet- A light violet with a cool shimmer. Milani labels this shade as a Shimmer. Bella Mandarin- A peachy orange. Milani labels this shade as a Satin Matte. Left to right: Bella Champagne, Bella Pink, Bella Rose, Bella Fuchsia, Bella Rouge. Bella Champagne- A pale warm pink. Milani labels this shade as a Shimmer. Bella Pink- A very light slightly whitened pink. Milani labels this shade as a Shimmer. Bella Rose- A very light pink.Milani labels this shade as a Highlighter/Shimmer. Bella Fuchsia- A medium pinkened fuchsia. Milani labels this shade as a Satin Matte. Bella Rouge- A slightly red-based intense pink. Milani labels this shade as a Metallic. Left to right: Bella Gold, Bella Sky, Bella Teal, Bella Cobalt, Bella Navy. Bella Gold- A fantastically intense gold. Milani labels this shade as a Metallic. Bella Sky- A very fair blue. Milani labels this shade as a Shimmer. Bella Teal- A slightly green leaning teal. Milani labels this shade as a Metallic. Bella Cobalt- A slightly deepened blue. Milani labels this shade as a Satin Matte. Bella Navy- A deep pigmented navy. Milani labels this shade as a Satin Matte. Left to right: Bella Cappuccino, Bella Caffe, Bella Copper, Bella Bronze, Bella Espresso. Bella Cappuccino- A warm light brown. Milani labels this shade as a Satin Matte. Bella Caffe- A light cool brown. Milani labels this shade as a Satin Matte. Bella Copper- A vibrant copper. Milani labels this shade as a Metallic. Bella Bronze- A deeper bronze. 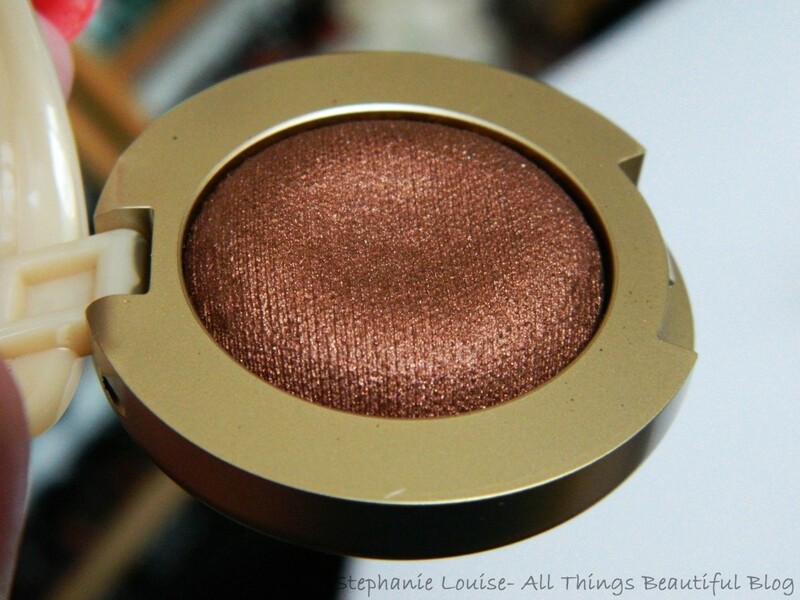 Milani labels this shade as a Metallic. Bella Espresso- A deepened slightly taupe brown. Milani labels this shade as a Satin Matte. Overall I’m so impressed with this line. I love the varying finishes, color spectrum, & they are totally blendable! I personally wear shadows both wet & dry so these are great for that. For only $3.99 & available at many local drugstores as well as Milani online they’re also a steal that is easy to get your hands on! The overall formula is beautiful & the value is fabulous! I’m having a really hard time choosing favorite shades because I think there’s a beautiful mix of jewel, colorful, neutral, & everyday shades within the line. 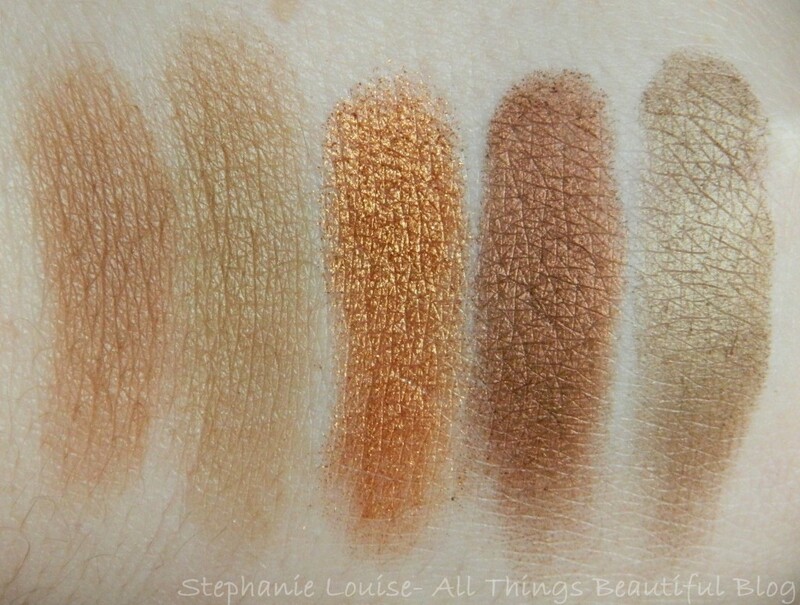 The colors I’ve been wearing for a basic eye look are Champagne which I see a touch of rose gold in, Cappuccino, & Espresso which I love in my outer crease. I find myself reaching for Ivory as a highlight a lot! If you love more colorful shades there are some stunning ones here- & I know I’ll be reaching for a lot of them this fall. 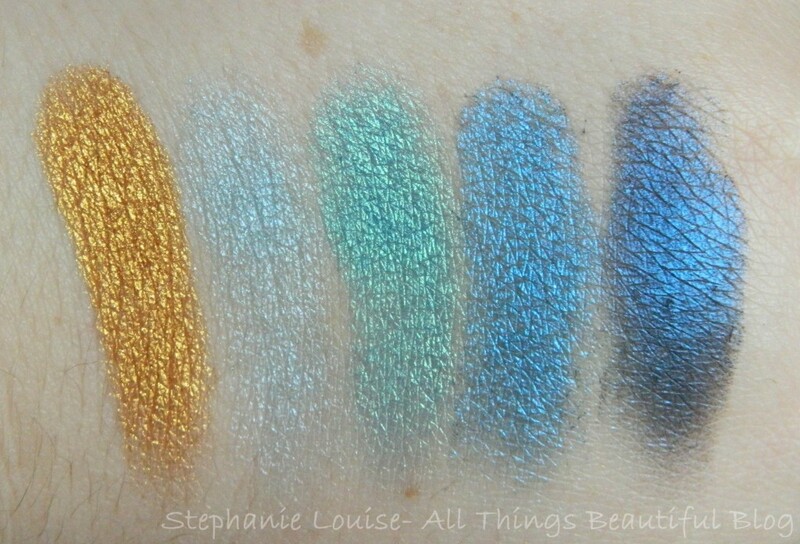 What are some of your favorite shades? 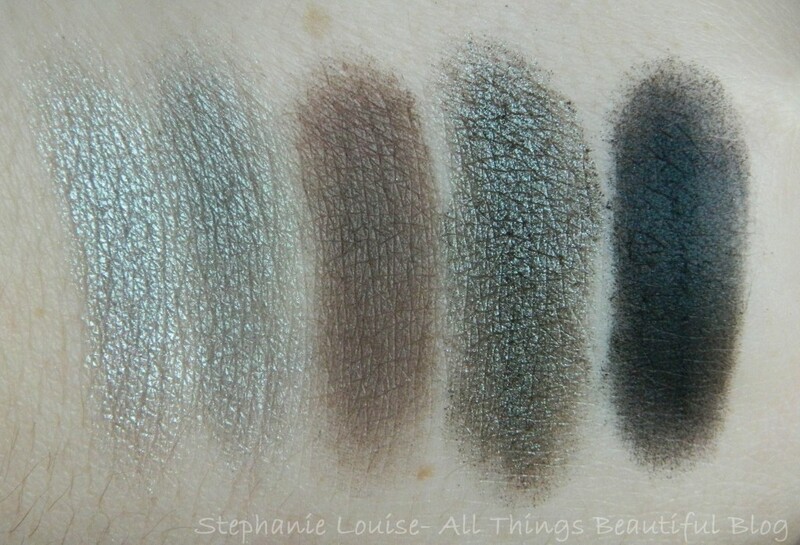 What eyeshadows make you think of fall? Any colors you’d like to see in some eye looks specifically?